The engraved Chippendale Salver is nickel plated and 25cm in diameter. 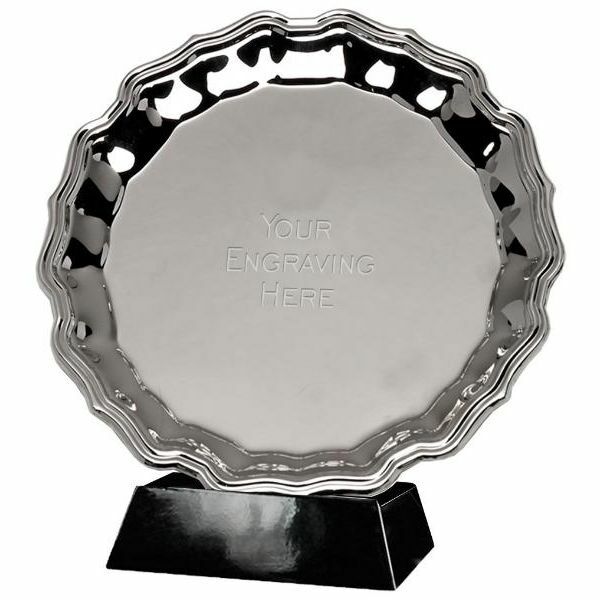 Up to 50 characters engraving is included in the price to personalise the salver, and additional letters can be engraved if required. A gift box for the engraved salver may be purchased at checkout. The Chippendale Salver is available in other sizes, contact us for details. The postage rate for the engraved Chippendale Salver is band B.